One of the favorite booths that I visited at NAB last year was SmallHD, because they were so confident in the daylight viewable capability of theirBright 702 and Focus camera monitors, that they had their booth outdoors in direct sunlight. Brilliant piece of marketing. Now their back with a new addition to their 500 series that offers the same bold colors in detail, even in broad daylight. 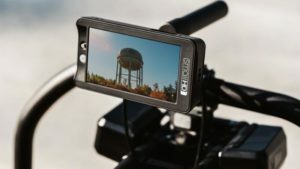 Taking the lessons learned from their ultra bright 7″ monitor, SmallHD has scaled down the same 1000 nit brightness and added it to the SmallHD 502 monitor. 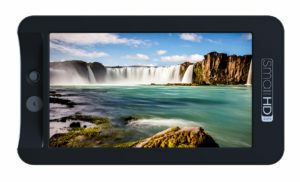 The 502 Bright uses Rec 709 color gamut with 1920×1080 full HD resolution with 331 pixels per inch. 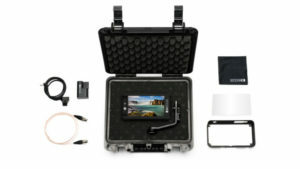 SmallHD’s latest OS3 operating system features a variety of tools including False Color and Waveform options, a new battery meter and the ability to calibrate color with SmallHD’s optional Color Probe. There’s also a handy customization feature that gives users the ability to deploy spot metering to tweak an existing waveform, adjusting the exposure level of a particular area of the image with accurate color and detail. This is a nice feature when you want to expose for skin tones outdoors, so your actors don’t get washed out in bright sunlight. Constructed from milled aluminum and with gorilla glass for screen protection, the Small HD 502 Bright is extremely rugged, and about the size of an iPhone 8 plus, making it ideal for shooting out in the wild. Small and light (weighing just 10 oz. ), the 502 UltraBright can fit on top of your favorite gimbal, Fig Rig, or even attached to the top of a camera cage without having to weigh down the cameraman as he moves. The 502 Bright has both HDMI and SDI inputs and outputs, and can even cross convert between the two video formats lightning fast. The 502 Bright is available from SmallHD authorized dealers or SmallHD’s website. Preorders start now with the 502 Bright listed at $1299. But there’s also an early adopter bundle for the same price which includes case, Focus Tilt Arm, DCA5/LP6 – DTap adapter, and SDI cable. A $300 discount. 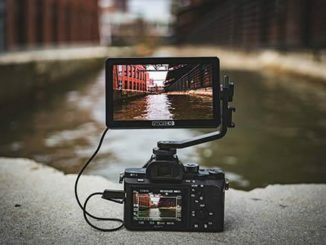 SmallHD has also created a limited edition black 702 Bright monitor. Same 7″ screen, same features as the original 702, just a whole lot cooler lookin. 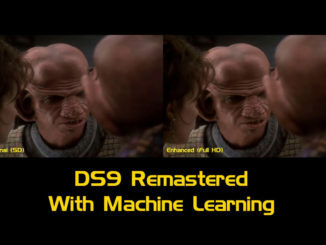 Available at $1499 while supplies last. Both ship February 2018.